DC seal; the seal of the District of Columbia features the official motto; "Justitia Omnibus" (Latin for "Justice for All"). Photo by District of Columbia/Wikipedia (Public Domain Image). 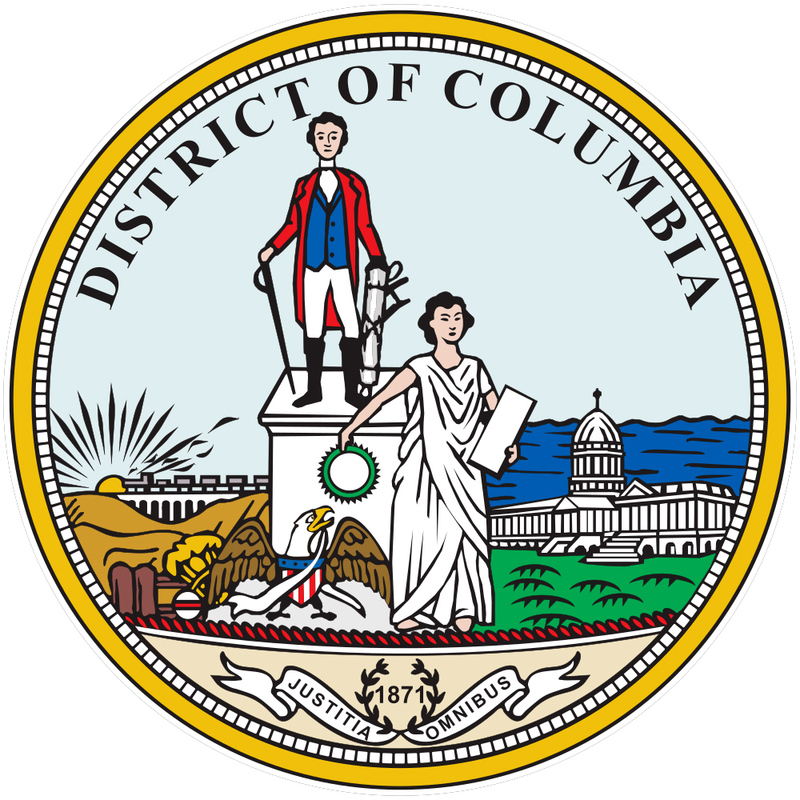 The District of Columbia's official seal features Lady Justice hanging a wreath on a statue of George Washington, the official motto of the District of Columbia; "JUSTITIA OMNIBUS" (Latin for "Justice for All"), and the number "1871" (the year in which the District was organized in its present form).